In accordance with proven traditional methods of production, all Art Spectrum Artists’ Watercolours are carefully stone milled to enhance the individual brilliance of each carefully selected pigment, and to maximize its handling qualities. 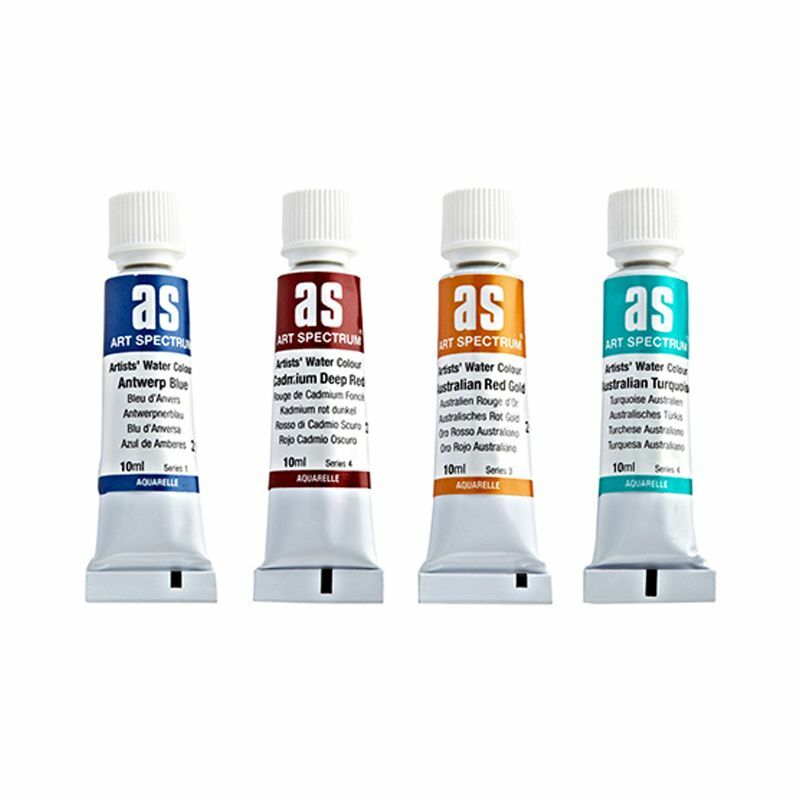 Art Spectrum watercolours have the distinct advantage of being composed only of lightfast pigments - for instance, Alizarin Crimson is not offered in our range because it is known to be fugitive. We have replaced this colour with a lightfast Permanent Crimson. Art Spectrum watercolours have a very high pigment content and thus give stronger tints and clean mixes, resulting in outstanding value for money.